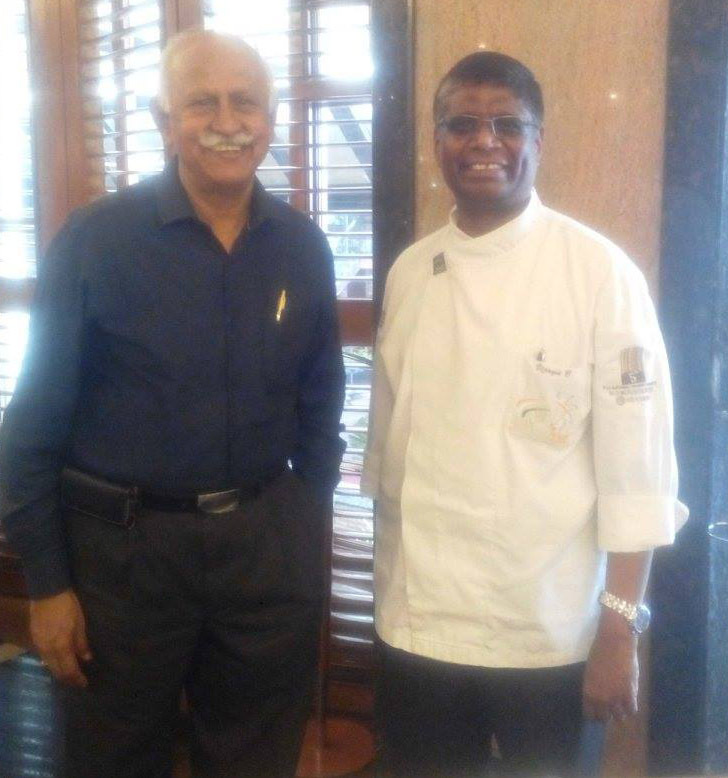 Our classmate, Chef Vijay Bhaskar, Le Meridian Hotel, Bengaluru, had a surprise guest. It was Veteran Brigadier AN Suryanarayanan, our Commanding Officer when I joined our regiment as a Second Lieutenant in January 1983. He handed Bhaskar a book authored by him ‘Many Laughs and a Few Tears’ for me. 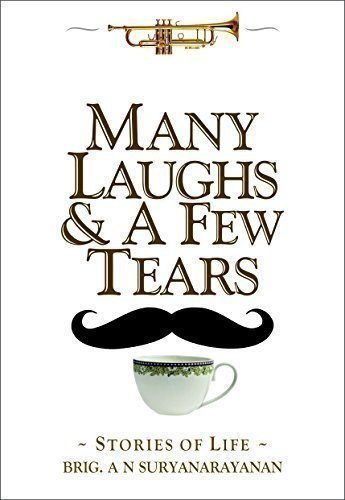 As the title suggests, the book is a fallout of humour in a soldier, especially when the going gets tough. Yes, the book brings in laughs and it ensures that you end up reading it with no tears, but with lot of respect for the Indian Army and the author. The book from a soldier, well known for his elephantine memory and eye for details, is a great recall of various events in his life. The author has in fact put in his life and soul into his writing and for the reader, it is really captivating. The well illustrated book elegantly portrays the journey of a soldier from his home at Tiruchirappalli to his retirement abode at Bengaluru, even though the book does not follow any pattern. Many soldiers would be able to correlate with all the incidents and all others would enjoy reading it. Like in case of most soldiers, Appa (Dad) is the hero. Most soldierly and leadership qualities along with value systems have been embedded by the Dad. The author has brought out this aspect and has emphasised the need for good parenting to make good citizens. Further, the author has described through various anecdotes as to how he parented his two daughters to be valuable citizens. The life in the Army is very unpredictable and it throws up many an opportunity for the soldier’s spouse to show her mettle. It also throws up many an interesting and comical situations and the anecdotes in the book are testimonies to them. I for one always wondered as to how these ladies, mostly from a civilian background with hardly any exposure to the Army, cope up with such stress. The most obvious stresses on a military wife is when her husband is deployed on active duty in the field areas, during war and while moving on posting from one end of the country to another. They are mostly worried about their husband’s safety while shouldering a large share of family responsibilities on their own. They look forward to any communication they receive from their husbands in the form of phone calls and letters. Various reminiscences (with a humorous touch) brings out as to how the direct impact of war affects an active duty soldier and his immediate family members. Most military narrators often come out with the clichéd tales about the ‘Good Old Days’ without realising that that it was not so ‘Good’. In this book, the author does not mince his words in bringing out the dire financial position of the army officers of the seventies and eighties. The account of the ‘failed mixie’ and ‘scooter without petrol’ aptly brings it out. It may be difficult for the present generation of army officers, armed with the best cars on offer, the best cell-phones, computers and modern home appliances to visualise it. The author, well known for his mental mathematical skills and his mastery over the English language, has given an insight as to how he developed these soft skills. His recount of his childhood will surely bring in a lot of nostalgia. The author has recognised the role played by them – from the teachers to the postman – in making his childhood a memorable one. The book is self published and all the money from the book goes towards helping a charity. Anyone buying this book will surely cherish it and would contribute to a great cause of educating a needy child. Unable to click, open How do I? Great! It was really a pleasure and honour to meet Brig ANS. I was happy to see him featured in The Hindu a few days later ! Good one as usual Reji ! If you get in touch with me by phone (080-254 542 77)/ (Mobile +919845 254 542)/ email: surivini@gmail.com, I can tell you easily. In simple words, it is a 170 Page book with 53 life stories, with proceeds going to a Trust for the education of poor kids. While it is also available at Amazon.in (it will cost you Rs 295 but I get only about Rs 158) and Kindle s 19 ( I will get only Rs 110 or so). If you wish to help the Trust, better to buy from me @ Rs 250, where I bear the Regd Bookpost charges also.